NB. This symposium has been scheduled such that ANZSA delegates heading to Hamilton (http://conference.anzsa.org/) can come to Melbourne first, spend the following day (16 Nov) in transit, and arrive comfortably for the start of the ANZSA conference at the University of Waikato. If you’re near Melbourne on the deathiversary, come along and help Rob Conkie launch his new book, Writing Performative Shakespeares: New Forms for Performance Criticism (Cambridge University Press, 2016). This also happens to work in conjunction with the opening of Shakespeare’s The Merry Wives of Windsor which is playing at fortyfivedownstairs this April, and which Rob has directed. This production ties in with the Shakespeare400 celebrations happening world-wide. The gala event will be taking place on April 23rd, at 3:30PM at fortyfivedownstairs with the book launch, an art exhibition by Bernard Caleo of drawings of the rehearsal process of The Merry Wives of Windsor will follow 4:30PM and an exhibition talk: ‘Drawing and rehearsing The Merry Wives’ at 5:30PM. • Does it mean anything to read/perform Shakespeare at the edges? Does location continue to make a difference? • Does 2016 represent an edge in Shakespeare Studies? Where have we come to over four hundred years and where should we go to next? Are some lines of inquiry leased out? Are others opening up in, say, performance studies, digital/media approaches, new archival studies? • How does thinking about the edges (paratexts) of the play text or the stage enrich understanding of early modern theatricality? • What happens if we place Shakespeare at the edge and place other writers at the centre? Should we reshape our sense of the Early Modern? • Is Shakespeare edgy? Does he explore “edges” as some have claimed? Where and how is he edgy, and where does he play it safe? The Conference will feature plenary and panel sessions, live performance and film screenings. Conference highlights include keynote addresses by Lisa Hopkins (Shakespeare on the Edge, 2005, and Renaissance Drama on the Edge, 2014); and Margaret Jane Kidnie (Shakespeare and the Problem of Adaptation, 2009, and Shakespeare and Textual Studies, ed. with Sonia Massai, 2015); and a special performance for delegates of Regan Taylor’s commedia-inspired Maori adaptation: Solothello. Proposals for panels, papers, and interactive workshops are all welcome. 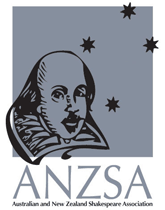 Inquiries and proposals should be sent to: anzsa2016@waikato.ac.nz by July 1, 2016. Proposals of 200 words should include a 50-word bio noting institutional affiliations (if any). Research Higher Degree students will be invited to submit their paper in advance for the Lloyd Davis Memorial Prize for best postgraduate paper. The best paper will receive an award and scholarly mentoring from a senior member of ANZSA. Details for the prize, and notification of a professional seminar for grad/post grad researchers on the afternoon of November 16, will be circulated later. Travel to Hamilton (for ANZSA and BSANZ), November 2016. Several shuttles run regularly from Auckland Airport to Hamilton. At the University we often use Roadcat:http://www.roadcat.co.nz/. The shuttles regularly pick up and drop off at the University. You can hire cars from the main rental agencies and pick up from Auckland airport. This might suit a group travelling together, or those planning to do some touring. The highways are very well maintained! Hamilton does have an airport and there are connections to Auckland several times a day. Usually these are inconveniently timed and quite expensive. But it can be done. The airport is about 20 minutes drive from the centre of Hamilton. With 2016 commemorating the 400th anniversary of Shakespeare’s death, this new production by Melbourne’s Nothing But Roaring of Shakespeare’s funniest play of love and lies, fidelity and forgiveness, will transform the New Fortune Theatre into a chamber of laughter. The play features the corrupt and cowardly knight, Sir John Falstaff, who accompanied Prince Hal in Henry IV. In Falstaff’s latest escapades, he attempts to woo two wealthy married women. Rather than turn down the buffooning Falstaff, the ladies conspire to have a laugh (and a little vengance) at his expense. For advanced study of the play, a free symposium with international experts will be held at UWA on Wednesday 17 February 2016 from 10am to 4pm. This symposium runs in conjunction with the performances of Shakespeare’s The Merry Wives of Windsoron the New Fortune Theatre, 16–18 February 2016. It brings together international experts on the play and on theatre history. The emphasis will be on these presentations and discussion, so other papers are not invited. Please submit an abstract or proposal of approximately 200 words to christian.griffiths@monash.edu by 1st May 2016. Some travel bursaries will be available for interstate or international scholars. All submitted papers will also be considered for inclusion in an edited volume. In 2005, the Chinese University of Hong Kong first hosted the Chinese Universities’ Shakespeare Festival. The goal of the festival was to have Chinese speaking universities submit a 20 minute interpretation of one of Shakespeare’s plays. The restrictions were that each submission could be no more than 20 minutes long, text from the plays only, and the casting was restricted to 3 actors. This festival created some very interesting and intriguing presentations and interpretations. The last festival occurred in 2014. For this conference, the seminar will have a two-pronged approach. Papers on adaptations of Shakespeare, in any format, are welcome as are 20 minute Shakespeare presentations, using the remit of the CUSF as the format of the presentation. It is our hope that there will be a number of presentations that will include students and faculty as well as scholars and researchers. The boundaries of this seminar are quite fluid except for the CUSF format.